Enjoy Utah! 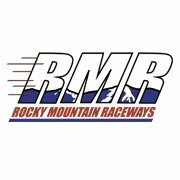 : ENTER TO WIN Rocky Mountain Raceway Tickets! ENTER TO WIN Rocky Mountain Raceway Tickets! Our friends at Gines Auto Service are giving away three family four-pack of tickets to Rocky Mountain Raceway. Visit their blog for complete details and how to enter.